Dr. Augustus Beck has been warmly welcomed onto the Board of Physicians by the American Health Council, in recognition of his 18 years of service and dedication to the healthcare sector. Dr. Beck is a highly esteemed expert in the field of interventional cardiology and continues to show commitment within his specialist area. Dr. Beck completed his MD in Interventional Cardiology at the Case Western University in 2003 and has been in his current role for the last 7 years at the company Advanced Cardiovascular Consultants. Advanced Cardiovascular Consultants has served the Chardon area since 2004 and the team of Cardiologists perform both in-office procedures, such as EKGs, stress tests, and interventional procedures performed in the hospital, including cardiac catheterization and coronary stent implantation. The service provided includes treatment for hypertension, angina, chest pain or discomfort, congestive heart failure and coronary disease. 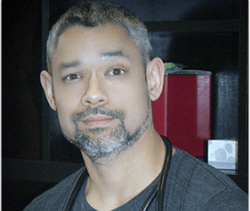 Dr. Beck knew he always wanted to become a doctor and work within the healthcare sector, but originally, he thought he was going to pursue a career as a neurosurgeon – this was until he completed some training with one who was extremely unhappy with his career. Being more hands on, Dr. Beck soon realized he wanted to go into cardiology, so pursued that pathway instead. He is very persistent and extremely hard working, traits which have undoubtedly contributed to his ongoing career success. Due to the nature of his job role, Dr. Beck is busy everyday and has to be extremely hands on. His day to day responsibilities include critical care, examining patients, treating patients, performing procedures and seeing out-patients in the office. His hard work and dedication doesn’t go unnoticed and he was proudly awarded with Top Doctor in 2015 and 2016, which was published in Cleveland Magazine. Dr. Beck continues to develop his knowledge and understanding through his membership of multiple professional associations including Fellow of the American College of Cardiology, Society of Interventional Cardiology and The American Society of Nuclear Cardiology. He also actively supports charitable organizations including The Cystic Fibrosis Foundation. Over the next 5 years, Dr. Beck’s goal is to expand and grow his practice as well as hiring further cardiologists to his team. When he isn’t busy working, Dr. Beck lives a very active lifestyle and has many pastimes. These include reading, running, going to the gym, practicing yoga and playing basketball or baseball. Interventional Cardiologist at Advanced Cardiovascular Consultants, Inc.
Advanced Cardiovascular Consultants has served the Chardon area since 2004. The team of Cardiologists perform both in-office procedures, such as EKGs, stress tests, and interventional procedures performed in the hospital, including cardiac catheterization and coronary stent implantation.